The Rocket Mortgage Homestretch Sweepstakes is giving away 20 VIP trips to Churchill Downs to witness the Kentucky Derby in person. Plus, one lucky winner will receive $250,000. Use it to purchase your dream home or pay off your mortgage. Enter the Rocket Mortgage Homestretch Sweepstakes today at www.homestretchsweepstakes.com. 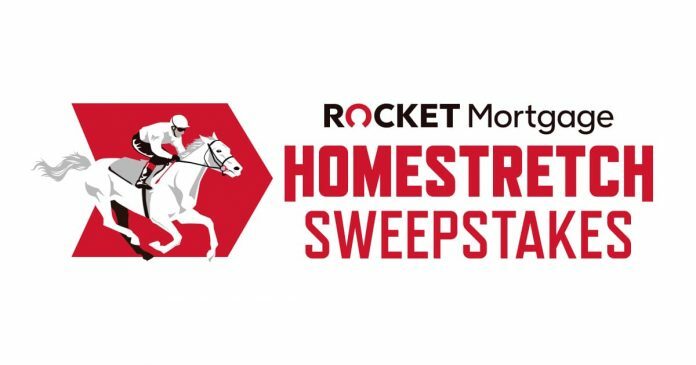 The Rocket Mortgage Homestretch Sweepstakes begins on March 18, 2019 at 9:00:00 a.m. ET and ends on April 7, 2019 at 11:59:59 p.m. ET. The Sweepstakes is open to legal residents of the fifty (50) United States (including the District of Columbia) who are twenty-one (21) years of age or older as of date of entry. The Sweepstakes will award twenty (20) First Prize winners a trip for two to attend the Kentucky Derby in style at Churchill Downs on May 4, 2019. Prior to the Kentucky Derby, each First Prize winner will be randomly assigned a Kentucky Derby race horse. The First Prize winner assigned to the horse that wins the Kentucky Derby will also win the Grand Prize of $250,000. Limit one (1) Registration/Entry per person/email address during the Sweepstakes Period, regardless of method of entry. The Sweepstakes is sponsored by Quicken Loans Inc., 1050 Woodward Avenue, Detroit, MI 48226. Loved the Derby my whole life. Love the Derby, athletics are majestic. My ex husband and I used to own horses, we rode western for pleasure. I can’t afford to own any now, but they are beautiful and so intelligent. If I won it would be a wonderful blessing, no more mortgage! And to actually see the Derby live…awesome!